This week features sketches for the ‘beasts’. Unlike the machines, there’s not too much room for creativity. Top left is the bat. Middle left is the serpent. Top right is the owl. Bottom left is the giant spider. Bottom right is the hound but I’m not really happy with it yet. 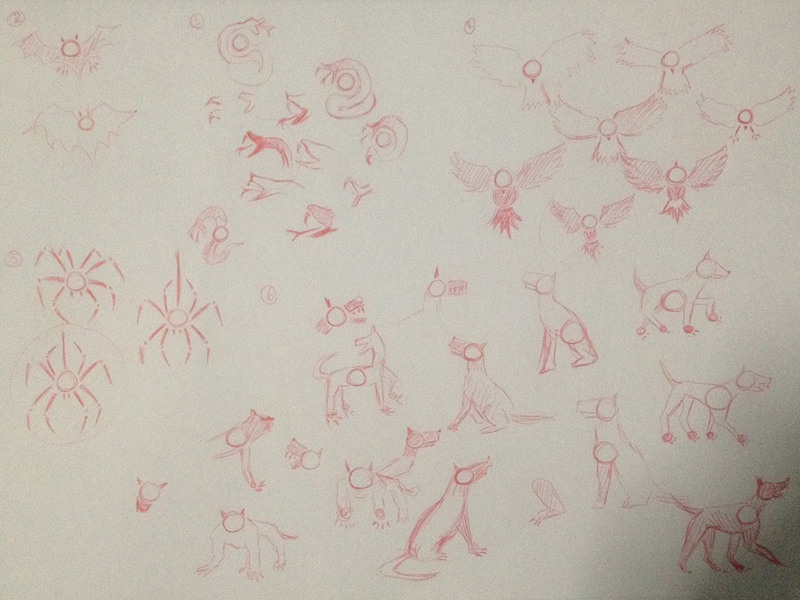 The 4 legged beasts are going to be the hardest to draw I reckon. What’s next: more art and I will be doing some self testing if I can’t find anyone.